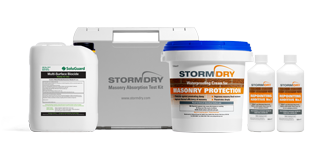 What can Stormdry be used for? By creating a deep water-repellent zone on the masonry surface, Stormdry ensures that the masonry remains dry throughout the year – maximising its thermal resistance or "R" value. The Stormdry system can provide an effective flood barrier as part of a flood resilience or flood protection system. Before application of Stormdry, cracks in walls to be treated should repaired and mortar courses repointed up to the flood design height using a suitable mortar mix incorporating Stormdry Repointing Additive No.2. 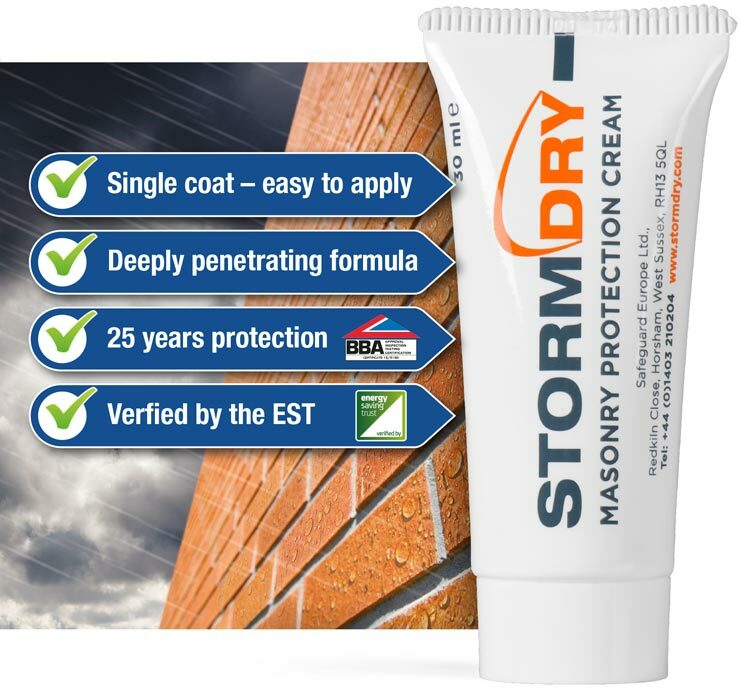 Applying Stormdry breathable waterproofing cream to the outer leaf will increase the walls water resistance, preventing any further water from being absorbed into the insulation whilst also letting any existing moisture evaporate away. Application of Stormdry to concrete surfaces provides resistance to moisture whilst maintaining breathability of the concrete – making it an excellent choice of product for many concrete protection applications.